We can achieve this by binding “keydown” and “keyup” event for grid search text box in create event of grid. Immediate search can be done by using keydown, keyup event by passing the entered textbox value in the text boxvalue to to the search method of grid. Also uUsing clearSearching method it can be able towe can cancel clear the searching in grid while in the click event when clicking the cancel icon of search box. 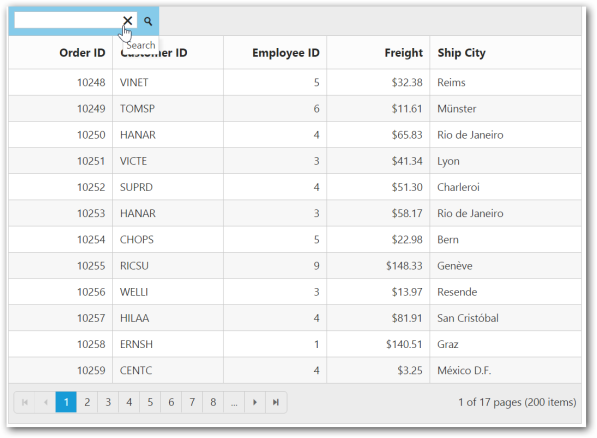 Figure 1: Shows searcheding the grid records after entering the value in search box. Figure 2: Sshows clear searchingentire grid records after clicking the cancel icon in search box.